Vanille Cuir is the last of the Vanilla Art Collection from M. Micallef. I left this one for last because I had a feeling that I would like it the most. Though after Vanille Orient and Vanille Marine, Cuir has some pretty big shoes to fill. 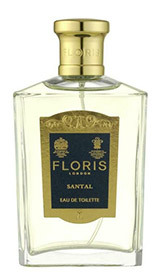 In Bottle: Smooth, creamy vanilla with an equally smooth leather note that makes this fragrance smell very grown up. Applied: Rich, smooth vanilla. One of the nicest smelling vanillas ever. It floods into the air and has this instantly relaxing feel to it. I love the opening. Like, absolutely adore it and if I could bottle that, I’d probably have my favorite vanilla and call it a day. All the bergamot, mint, lavender and whatever else that’s supposed to be in the opening isn’t there for me or it’s been too well-blended, and I quite like it that way. But, the pillowy, rich vanilla gives way to a smooth, almost smoky leather scent that makes things seem more dense and grounded. Like wrapping yourself up in a big leather blanket and sprinkling some flowers on top for good measure. After a while, the spices kick in and the leather calms down a little, letting that gorgeous initial vanilla note to return and take the fragrance into this very soft leather, woods and vanilla dry down. Extra: One of the best selling features of M. Micallef’s Vanilla collection is the fact that they use a really nice vanilla. I’ve smelled plenty of vanillas, many were plastic, boring, or predictable. And a few, rare, vanilla gems really stood out. The bourbon vanilla that Micallef used in this series is one of these gems. It shows in the delicate way the note unfolds and works with the other ingredients to form a beautiful creamy, natural fragrance. Design: Yep. Still not a fan of the design, but the shape and utility of the bottles is growing on me quite a bit. I still prefer Micallef’s other designs. Notes: Bergamot, mint, lavender, cinnamon, cumin, orange blossom, tonka, sandalwood, cedar, vanilla. Leather’s one of those notes that has a lot of people concerned about how it would make them smell. It’s generally been tamed, but I know of some leathers that can smell quite animalistic. Vanille Cuir isn’t one of those. It tempers the leather quite well and mixes the vanilla with it rather expertly. With that having been said, I think my favorite in this line is probably Vanille Marine, followed by Vanille Orient, Vanille Cuir and finally, Vanille Fleur. If you do love vanillas though, you should definitely check out this collection, some samples or the fragrances themselves can be purchased at Luckyscent. 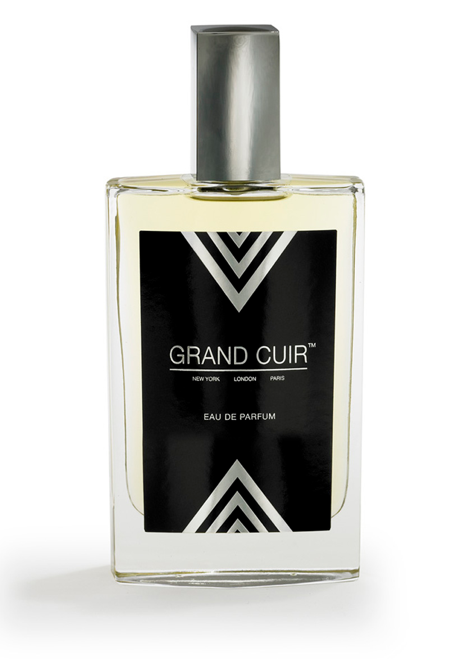 Reviewed in This Post: Vanille Cuir, 2012, Eau de Parfum. Disclaimer: The fragrance sampler spray reviewed in this post was provided to me for free for the purposes of review. In no other way am I receiving pay or compensation for this review. This review was written based upon my personal experiences and opinions of the product. Paris was one of the very first Black Phoenix Alchemy Lab scents I ever tried. It was in the form of a sampler vial (what they call ‘imps’) and it was, unfortunately, not my cup of tea. In Bottle: Tons of lavender loaded up with sweetness and a little bit of spice. Applied: Yep, lots of lavender with a lot of sweetness. I’ve tried other BPAL lotus scents to me and the lotus components always smelled sweet and a little off. It’s off because it smells like chemical sweetness. Like the chemical sweetness you might associate to something you’re not supposed to be near. That’s the kind of sweetness that I’m getting from Paris and it’s very distracting. Lavender has to be mixed just right for me or it ends up distracting or just smells weird in a fragrance. Unfortunately, Paris’ off-sweet lotus mixing with the strong lavender in this fragrance creates an odd sensation that I’m at the dentist and getting ready to have my teeth worked on. As Paris progresses, the fragrance ages into strong off-sweet lavender with a hit of cinnamon. The spice does help to mature the fragrance and make it more appealing, but it’s too little too late for me. Extra: Paris is a part of BPAL’s Wanderlust series of fragrances. Design: Pretty much what you’d expect from a BPAL. Paris sits in an amber apothecary bottle with a standard BPAL label and standard black cap. In addition to Paris, I also had a scent that worked out a lot better in my first order from BPAL. Thankfully, The Unicorn was a big hit for me and kept me going on BPAL’s to slowly sample their massive library scents. In that time, I’ve discovered stuff that didn’t work at all and stuff that I really like. Though it’s way too easy to get lost in all the inventory. Reviewed in This Post: Paris, 2010, Perfume Oil. Steve from The Scented Houndsent quite a surprise as I discovered a sample of Ambre Precieux in the package of decants. I have something of a weak spot for well done Oriental fragrances and I had to get into sampling this one for myself. In Bottle: Myrrh and lavender with a bit of balsam. No amber yet. Applied: A beautiful waft of very well blended myrrh and lavender. The opening gives the fragrance an almost incense feel to it. The balsam rolls in for a bit to deepen the fragrance and as the wearing goes on, the lavender gives way to a wonderfully spicy and warm amber fragrance lightly sweetened with vanilla. Don’t let the word ‘sweet’ throw you off, the sweetness is only a touch and merely adds a layer of complexity. Ambre Precieux reminds me of cold days in the winter where I’d spend some time with the window cracked open slightly and a heavy blanket covering my shoulders while I read. I don’t know why I liked doing this, there was just something comforting about the crisp air and comfy blanket like there’s something similarly comforting about Ambre Precieux. It’s like a familiar blanket, old but loaded with sentimental value. Anyway, the fragrance dries down to a beautifully complex warm and spicy amber. 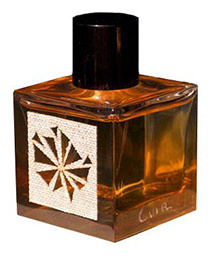 Extra: Ambre Precieux was launched in 1988 and was composed by Jean-Francois Laporte and if I’m to understand correctly, was slightly modified sometime in the last few years as all older fragrances tend to be. I haven’t smelled original Ambre Precieux, but I love this version. Design: Ambre Precieux sits in a brilliant red flacon with golden cap. Maitre Parfumeur et Gantier have always done a good job on their packaging and anything red will catch my eye. I love the richness of the color and how nicely it ties in with the fragrance itself. Notes: Myrrh, lavender, nutmeg, vanilla, amber, Tolu balsam, Peru balsam. Hours later and I’m still sniffing my wrist. I do have to say, this is one amber that I’m going to have to consider getting a big bottle of. Reviewed in This Post: Ambre Precieux, 2012, Eau de Toilette. Lavender Palm was a new discovery for me from the Tom Ford Private Collection and while I try not to veer into Tom Ford too much–mostly because of the price–I couldn’t help but be curious about how well the lavender note was used here. 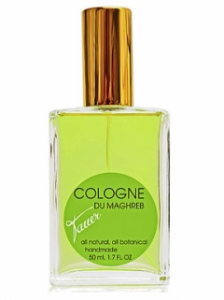 In Bottle: Lavender from the get go with a nice clean hint of lemon and bergamot accompanied by a green mossy base. Applied: Lavender is loud and first out of the gate followed by a clean taming citrus blanket. I smell the lemon in this more than the bergamot, but lavender is definitely the star of the show. This isn’t screeching lavender. It doesn’t make my teeth hurt or make my nose wrinkle, it’s bold but in a good way. It’s naturally used in the fragrance it wraps the wearer in a comforting lavender throw instead of hitting you in the face full force. It’s a bit difficult to describe so I suppose the best way to explain would be to say the lavender in the fragrance–while strong–smells just right. I don’t get too much progression as the scent wears on. Lavender fades in and out, it gets tamer the longer the fragrance is worn, and near the end I’m treated to a bit of moss and earth. If you were worried about the oleander and wondering how that was going to be, I wouldn’t be too concerned as the lavender is the star and it doesn’t share the limelight very well. Extra: The Tom Ford Private Blend collection houses the exclusives for the line and if you’ve got the cash, a Tom Ford Private Blend fragrance can be quite nice. Lavender Palm was released to a wider audience in early 2012. Design: Tom Ford Private Blend fragrances tend to sport a similar look. They remind me of apothecary bottles the more I look at them. Simple, elegant, and they’d look wonderful all lined up in a row. Notes: Lemon, bergamot, lavender, clary sage, lemon blossom, oleander, moss, vetiver, olibanum. While I can’t say that I really need a lavender prominent fragrance–not being much of a fan of lavender, I can say Lavender Palm is a very nice interpretation. I’m still on the look out for my preferred lavender scent, but I think those who really appreciate the note would like Lavender Palm. Reviewed in This Post: Lavender Palm, 2012, Eau de Parfum. Been a while since I’ve done an Annick Goutal fragrance. I actually really miss the often soft, feminine fragrances available in this line. In Bottle: Citrus and herbal. A very fresh interpretation and very green and leafy smelling. Quite nice and really natural. Doesn’t smell like a perfume, but rather like the concept of a dewy citrus leaf. Applied: Initial flare of tart citrus the orange and lemon in particular are noticeable. They give the opening a bit of a bite–in a good way. After the opening the fragrance takes on a pleasant fresh herb and green leafy scent with a nice woodsy undercurrent. As the scent ages, the greenness dominates and the woods come up a bit more. To me, this is a very refreshing scent. Almost like droplets of water pooling in a forest after a light shower. It’s quite agreeable and very beautiful. Extra: Ninfeo Mio was released in 201o, was inspired by the gardens in Rome, and is still widely available. 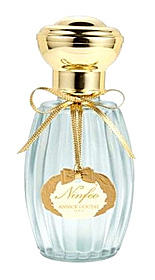 Design: Bottle like most other Annick Goutal fragrances in a ribbed bottle and tied with a ribbon. Annick Goutal bottles are easily reusable in that you can unscrew the sprayer and refill the bottle. The design is nice and elegant, a little vintage and quite lovely. Notes: Citron, lemon, petitgrain, bitter orange, galbanum, lavender, lentisque, fig, wood, musk. This is one of the herbal fragrances that I really like. I’m not a big fan of herbal scents usually but Ninfeo Mio is a lovely scent. Reviewed in This Post: Ninfeo Mio, 2011, Eau de Parfum. 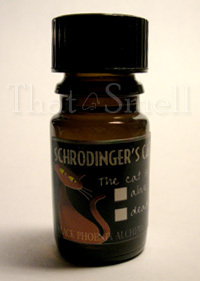 Schrödinger’s Cat by Black Phoenix Alchemy Lab whose name is inspired by the paradoxical thought experiment is a interesting scent reminiscent of Terry’s Chocolate Oranges. In Bottle: Crisp and clean citrus with a mix of creamy chocolate and a hint of earthiness. Applied: Crisp citrus, a touch of sweetness with a bit of tartness up top. I get the grapefruit most with its sweet pink treatment as the fragrance digs into this creamy minty chocolate scent. It reminds me of those chocolate oranges that you smash on something before eating. As the fragrance continues to age the citrus fades leaving the minty chocolate note to speak for itself as the earthy hints fade in and out of the scent. Extra: The Schrödinger’s Cat thought experiment was by Erwin Schrödinger and has to do with quantum mechanics and the paradox that could occur whereupon a cat could be both dead and alive. If you want to read up on it, I suggest the Wikipedia entry. Design: Same design as the other BPAL fragrances. Bottled in a simple amber glass bottle with a plastic cap. The interesting part about Schrödinger’s Cat is the label which differs from most other general catalog scents. Notes: Tangerine, lime, grapefruit, sugar, oakmoss, lavender, zdravetz, chocolate, peppermint. This is a pretty neat little scent with its midstage that’s so reminiscent of a tasty chocolate treat. 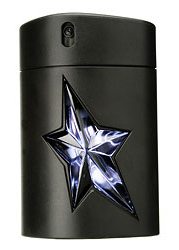 The fragrance itself has a good balance of citrus and creamy chocolate. I just wish the chocolate orange scent lasted longer. Reviewed in This Post: Schrödinger’s Cat, 2009, 5ml Bottle.